Multiple desktops is like having multiple monitors on a single monitor. Windows 10 makes this feature very easy to use. Learn it in 4 minutes. We often need to forget a Wi-Fi hotspot or change its properties. This was easily possible by using the right click menu (also called the context menu). With Windows 10, there is no context menu. Frustrating! Here is the solution. Click on the network icon in taskbar to open the list of connections. At the bottom click Network Settings. Now you see another list of Wi-Fi networks. DO NOT go there. Click on Manage Wi-Fi settings. Ignore the Wi-Fi Sense settings on top. Scroll down to Manage Known Networks. CLICK (not right click) on the network you want and then finally you see the Forget button. Arranging two windows side by side: This in itself is not a new feature. But it was enhanced in Windows 10. Have a look. You may not know it, but trust me – you need it. Quick Steps: Click in a window. Windows Left. Choose the other window. Install Classic Shell. I have been using it since Windows 8 days. Works perfectly. Has all the features you expect (and more) from Windows 7. Extremely customizable. I have already started using it. Of course the New start menu has many good things. But sometimes, you just want to start a program, search for a file and get going. You don’t want any distractions. 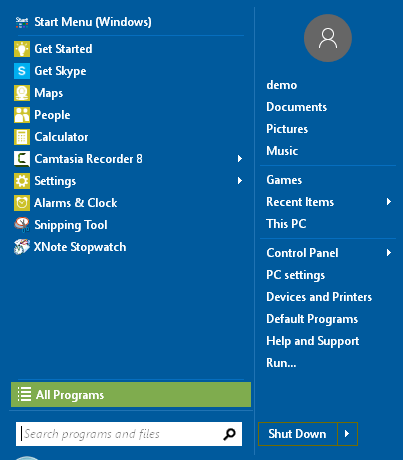 That is when you use a start menu replacement like this one. 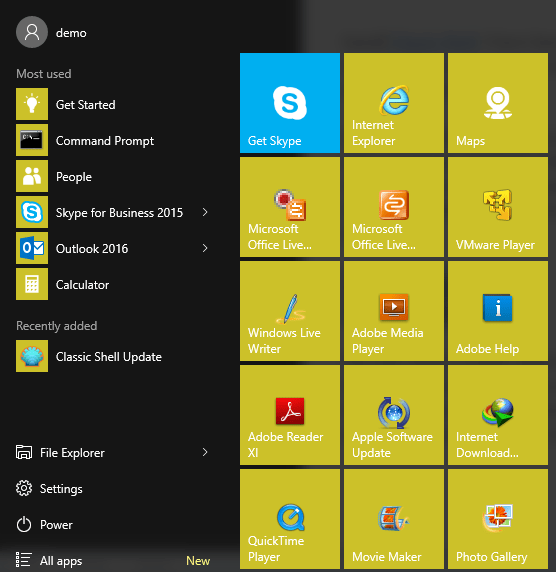 Of course if you Shift Click on the Classic Shell Start icon, you can still get the New Start Menu anyway. So we get best of both worlds.